Among all the one temple of Lord Shiva which is believed to the most sacred and perilous is the Amaranth Temple in the high mountains of Jammu & Kashmir. 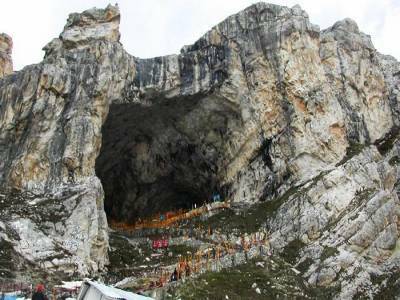 The Amarnath Yatra is the journey to the Amarnath Cave Temple which is reached after traversing a very cold and trekking route. 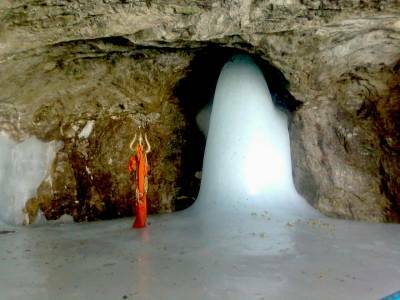 The Amarnath temple has a Shiva Lingam instilled inside it which is essentially a frozen water stalagmite. During the winters the whole area remains cover with snow and ice and during the summer months when the ice starts to melt the Lingam stalagmite begins to shape and the actual shape is formed during the July- August months synonymous to Shravaan month of Hindu calendar. 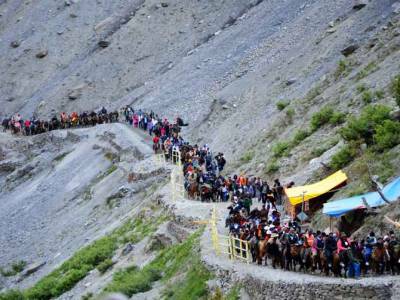 It is during this time the population of pilgrims and tourists floods on this trekking route. 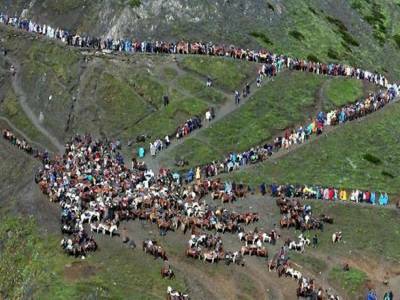 The travel to Amarnath temple is a 5 days hiking trip on foot or on horse's back. The base camp- for the stat of the journey starts either at Chandanwar or at Nunwan which are motorable destination from the picturesque town of Pahelgaon on the banks of Lidder River. The next checkpoints are Panchtarni and Sheshnag. Nowadays helicopter services have been introduced for the pilgrims who could afford it. 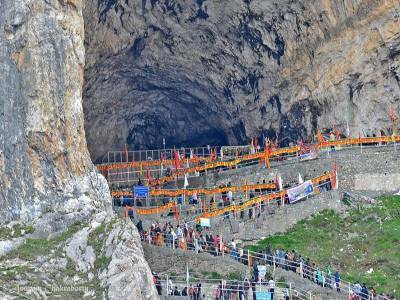 The travel to Amarnath Cave is very tedious and takes up quite a toll on the body but the solace of spirituality along with the enigma of natural beauty breathes fresh life into the tired body. Get quick answers from travelers who visit to Amaranth Cave Temple.